Want a book on the Django web framework that doesn't leave anything out? One you know comes from an authoritative source that you can trust to give you the good stuff? Well how about a book that was originally created by the creators of Django! Yep, that's right - the original Django Book was written by none other than Adrian Holovaty and Jacob Kaplan-Moss - the seriously cool dudes who created Django. Of course, the original book got a bit outdated and Jacob and Adrian moved on to bigger and better things, so the book has been in desperate need of an update for about 6 years. 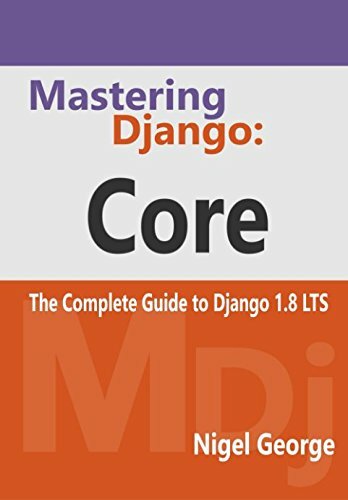 Mastering Django: Core is that update - rewritten from the ground up to support the newest long term support (LTS) version of Django (Version 1.8 if you were wondering). Detailed installation instructions for Python and Django to get you up and running fast. Written in an easy, conversational style. Jargon and new concepts are introduced in plain language to increase your understanding quickly. Answers all of the most common questions asked by new Django programmers. Leaves nothing out - every part of the Django core is covered. Covers the long-term support version of Django which means your skills will be up to date for many years.